Ocular Robotics, a company specialising in the design and development of ultra-high performance two axis sensor pointing solutions, has joined the NSW Business Chamber’s new Export Growth China program to break into the Chinese export market with its award-winning RobotEye technology. The company’s patented RobotEye technology has eliminated the size, weight and power restrictions of traditional sensor pointing systems and can be configured for an almost limitless number of industrial sensing and imaging applications in the air, on land and at sea. Ocular Robotics Founder and Chief Executive, Mark Bishop said the Government funded Export Growth China initiative would help the company tap into the vast Chinese market. “China with a population of over 1.3 billion presents significant opportunities to expand our business by introducing our off-the-shelf product range, RobotEye system customisation and full custom system development services to the world’s fastest growing consumer market. 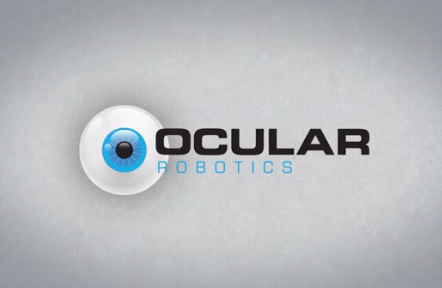 Ocular Robotics operates across a range of robust, high growth markets such as mining, robotics, defence, automation and security, and we operate with a scalable business model capable of capturing overseas markets,” Mr Bishop said. NSW Business Chamber General Manager, Paula Martin, said the program was designed to provide businesses with a low-cost entry point to the Chinese market and facilitate trade agreements with Chinese wholesale buyers. “We have opened a custom-designed showroom in the heart of Shanghai’s international trading district, which we are currently filling with Australian products and services ready to be matched with wholesale buyers. Although the showroom will be officially launched in August, our staff on the ground are already proactively marketing these products to wholesale buyers and providing real-time feedback on potential sales leads,” Ms Martin said. Mr Bishop was the recipient of the NSW Business Chamber’s 2014 Business Leader Award, with the company winning the 2013 Innovation Award and the Business of the Year award. Ms Martin said industry awards and recognition were very highly regarded within Chinese culture and could help the company establish its credibility to potential business partners. “We expect Ocular Robotics to receive a very positive reception at our showroom in Shanghai’s international trading district, and we look forward to helping them to build on their considerable success in Australia by exporting their unique technology to China,” Ms Martin said.